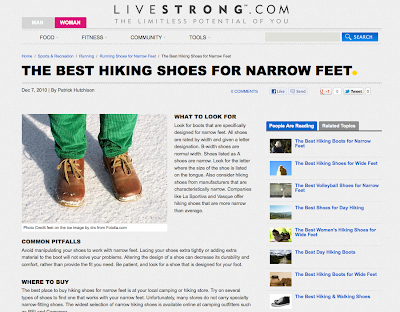 People with narrow heels have an excessive amount of lateral room inside the rear of their shoes. Some shoe stores sell adhesive pads to counter this problem however using these pads according to the manufacturers instructions may make a shoe too short for someone with a narrow heel. At work we cut the adhesive pad in two and place it on either side of the narrow heel. This takes up excess room where it exists without sacrificing the length someone's foot needs. ... Using the runner's tie can also snug up shoes around a narrow heel. 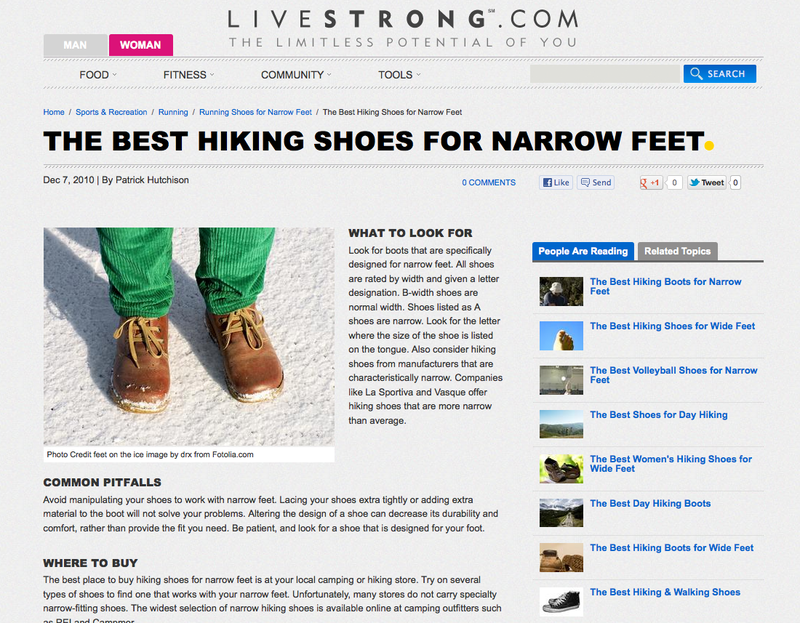 Shoes can be too short yet still slip in the heel so focus on getting a good fit even if this feels unnatural at first. This foot type is always frustrated - if the heel fits, the forefoot is too narrow, if the forefoot fits, the heel slips around. The answer is in two sets of laces. You should buy two shorter laces and lace the bottom 3 eyelets with one lace and the top eyelets with another lace. 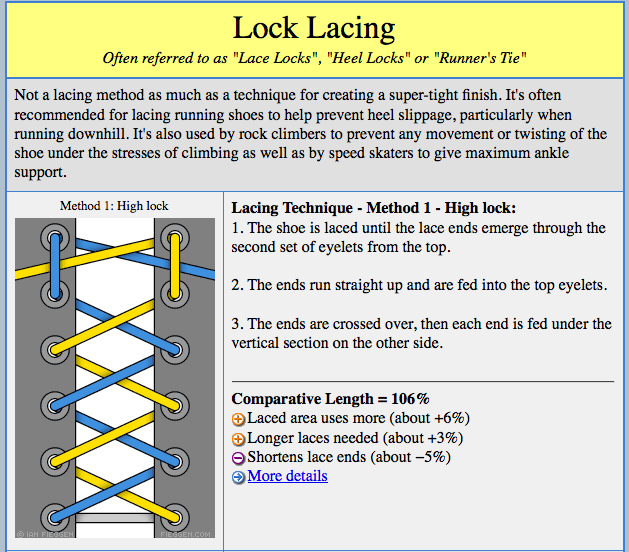 For a good heel fit with no slippage, use the lace lock technique at the top.